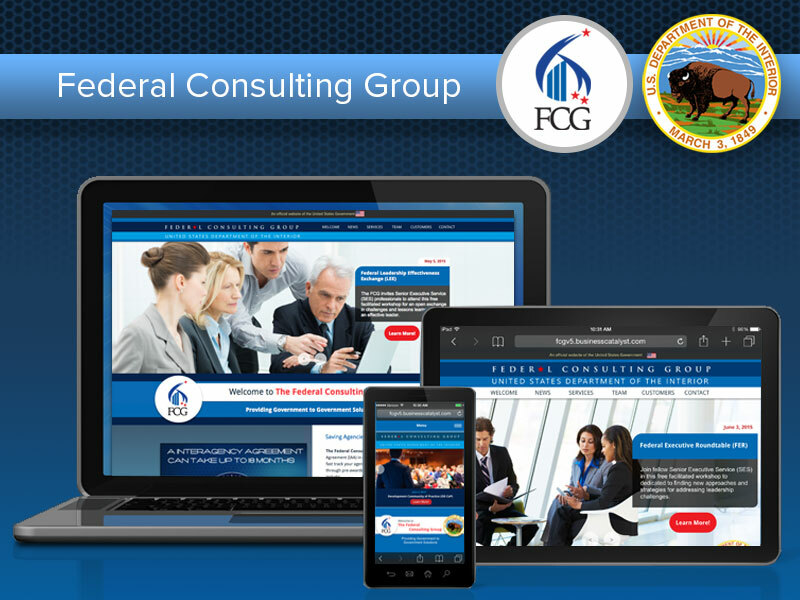 CTEC provides website modernization support to the Department of the Interior's Federal Consulting Group. This project is split into two areas: Task One includes website maintenance and support for three DOI websites (Department of the Interior University, the Office of Strategic Employee and Organization Development, and the Federal Consulting Group); while Task Two is specific to the FCG.gov website, and includes the complete design, development, and implementation of a new public facing website for the Agency. On the FCG.gov site, CTEC is helping FCG transition to a Drupal platform in order to modernize the website, as well as simplify the content management process.